For this student project, I was put to the task of designing a menu and logo for a restaurant. 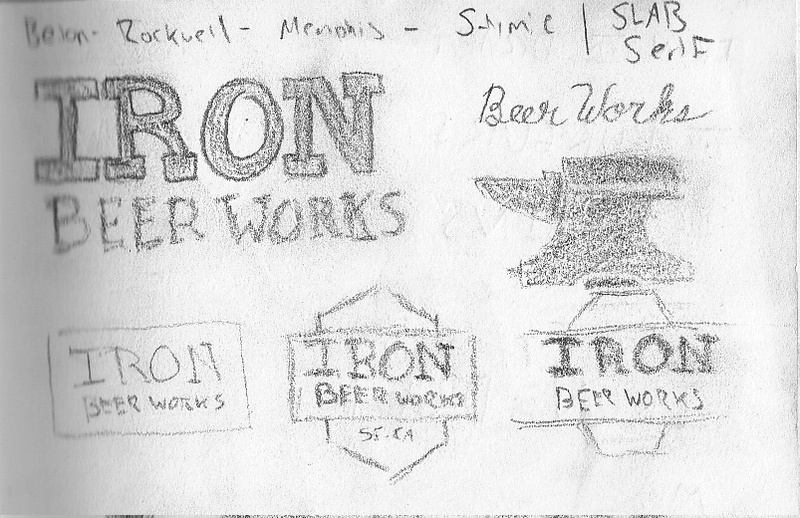 I chose to brand my restaurant based on a story about a blacksmith meeting a farmer. The two used their trade skills to collaborate, making a great new place to grub. By implementing studio photography and typography, my goal was to create a visually immersive menu that contributed to the overall theme of the story. Keep scrollin’ for process work. 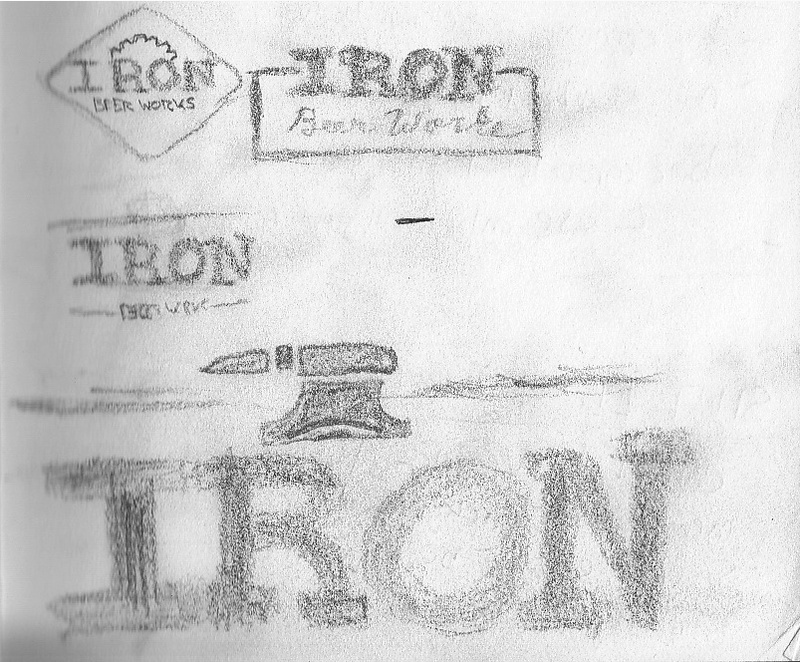 When sketching out the logo, I knew that I wanted to incorporate elements from the story about the blacksmith and farmer. I experimented with thick lines, slab serifs, and bold shapes to create an industrial feel for the brand. The final logo is set with Rockwell and includes visual elements that add to the industrial mood of the restaurant. 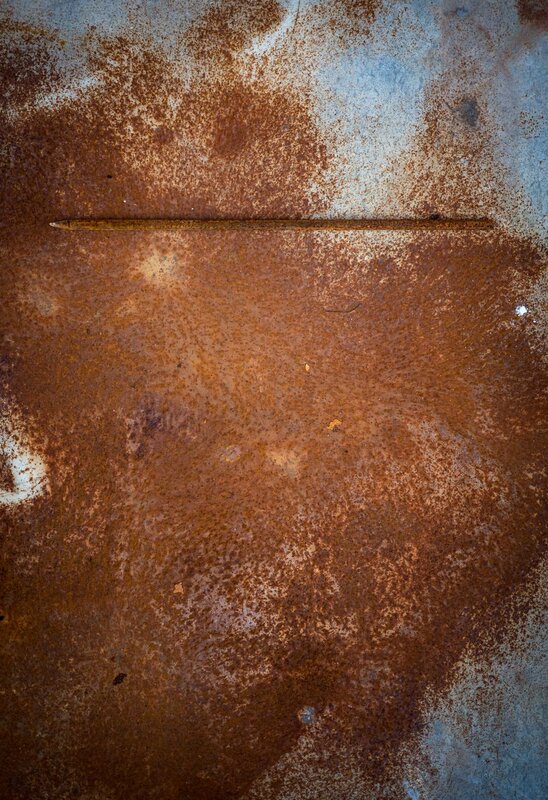 I added texture to the mark to further develop the gritty vibe of the brand. After experimenting with different type combos, I chose to use Rockwell for display and FF Din for body copy. This type combo provides a classic feel with a modern twist. The complimentary typefaces provide a bold contrast between headline and body copy. 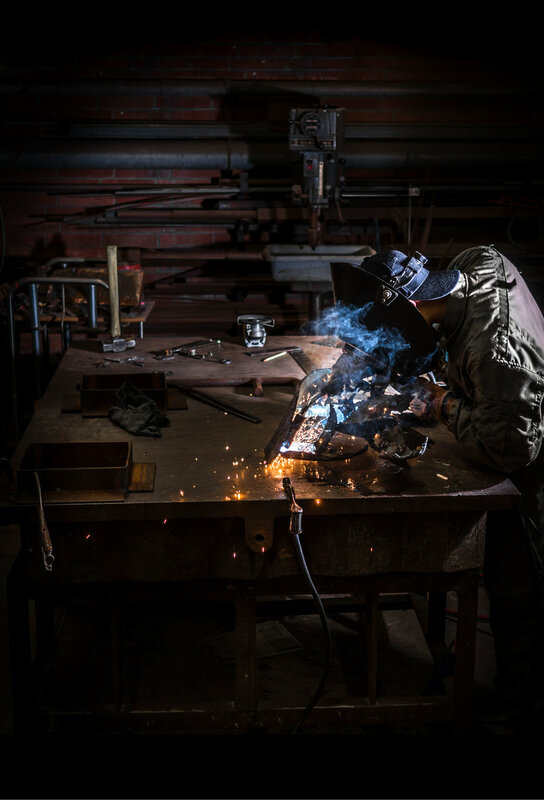 I chose to rely heavily on photography to help tell the story of the restaurant. 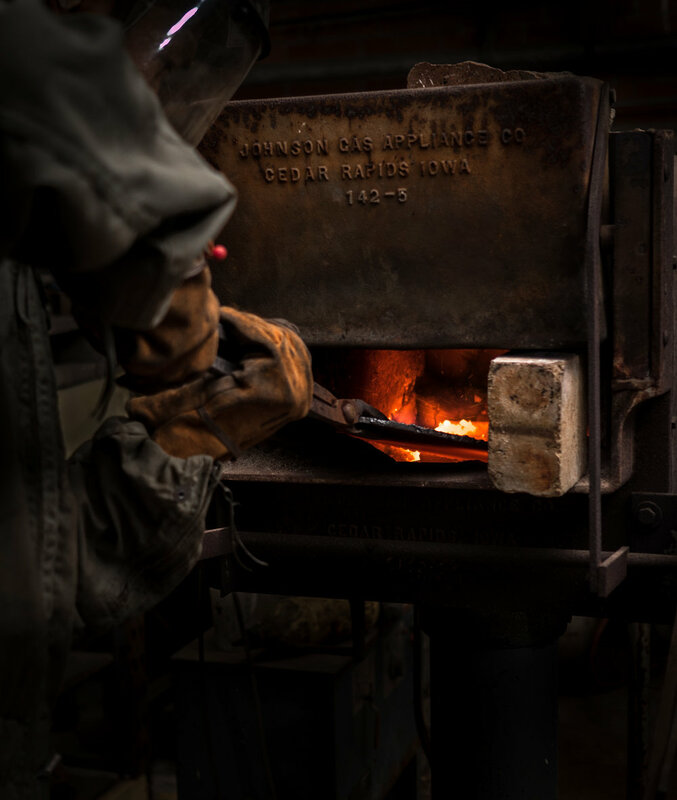 I took photos of metal textures, blacksmiths, and machines to enhance the brand’s story.